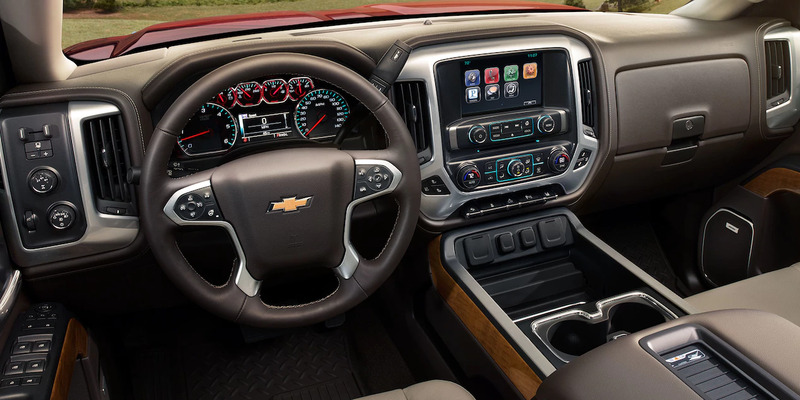 The Chevrolet 2500HD is packed full of powerful features that aren’t meant to appeal to the “luxury truck” class. This is a horsepower vehicle, a truck meant to haul your work load and go where other trucks aren’t able to go. The new 2018 model is going to impress the workers out there, the ones who head out early in the morning and don’t come home until their truck says so after a long work day. From the Duramax diesel engine to the 23,000+ pound towing capacity, this one is ready to go with you wherever you need to go. In this review, we’ll take a look at Libertyville Chevrolet – Chicgoland – and just why we’re proud to offer this new vehicle in 2018. You’ll want to pay particular attention to the features and specs if you’re looking for a workhorse. The 2018 Chevrolet Silverado 2500HD is the very definition of a workhorse! The 2018 2500HD by Chevrolet will appeal to people out there that love mesh grilles. This one has a fresh one that is sure to impress even the pickiest of grille fans. With the exterior, it’s all about customization. You can get several packages, such as the Snow Plow Prep Package that gives you tougher front strings and extensive wiring for plowing. That’s right. Pick your particular poison and Chevrolet has given you the option if you’re willing to pay a bit more. Add that with some High Country 20-inch chrome wheels and you’ve got an impressive looking workhorse to impress the family AND co-workers with. Luxury isn’t completely absent in this model. The 2018 Silverado has a big old front seat that’s plush with luxury. 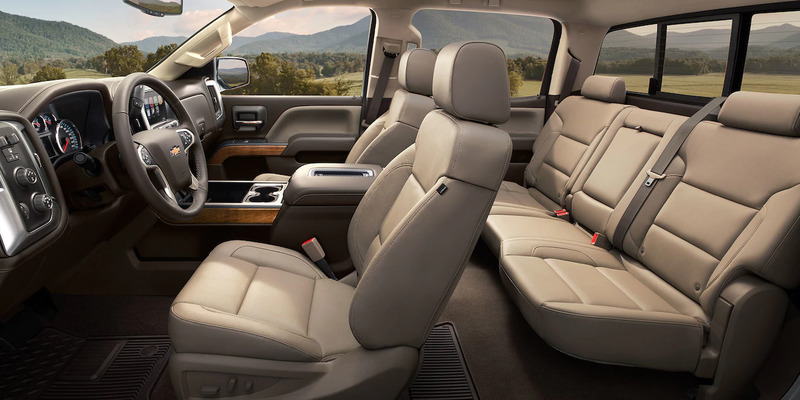 The 2500HD seats are comfortable and spacious, giving you plenty of room to pack your family along for a workday or your most heavy duty power tools. You don’t have to go with the standard seats. You have optional leather choices to choose from. The steering wheel is a source of comfort as wheel. It’s wrapped in leather and will make even the hardest workday seem like a piece of cake. 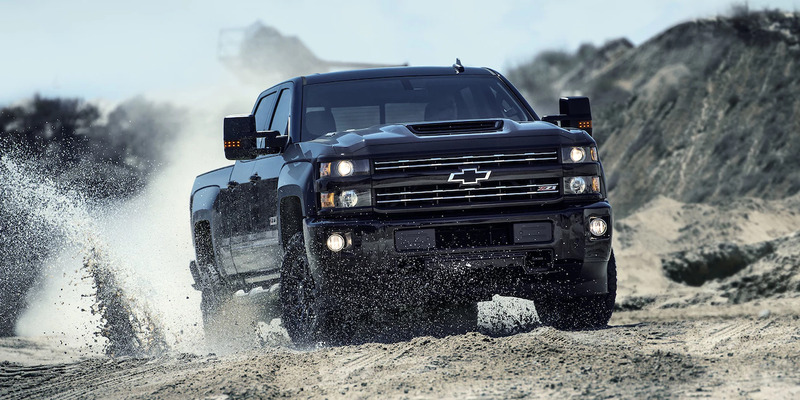 The Duramax Plus Package is 6.6L Turbo-Diesel V8 engine that even Chevrolet veterans will appreciate. There has been a lot of talk about this engine, but you have to see it in action on this vehicle to really appreciate it fully. 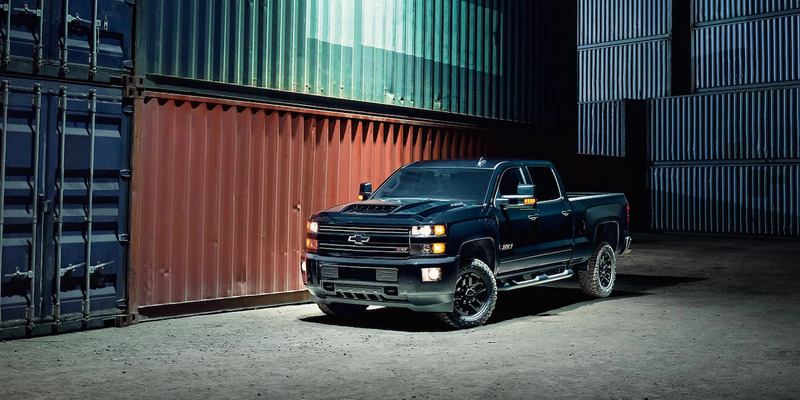 It’s the pride of the 2018 Chevrolet Silverado 2500HD and sure to be a big hit in Chicgoland. 2018 is a big year for Duramax, with many outlets serving Chicago Libertyville Illinois with tales of its legendary power. You’ll also enjoy a 6-speed automatic transmission, engine block heater, and even a heated steering wheel to keep you warm on particularly chilly cold work or play days. A Fifth wheel prep package is going to appeal to those travelers out there, too. If Chicgoland Libertyville Chevrolet can impress nothing else on you, it’s to pay CLOSE attention to the powertrain on this monster. It’s by far the highlight of the Silverado 2500HD. The Vortec 6.0-liter V-8 has 360 horsepower with 380 lb-ft of torque. It’s serving Chicago Libertyville Chevrolet customers with some of the most impressive powertrain specs to be found anywhere in the world today. You’ve got a lot of safety features on the 2018 Chevrolet Silverado 2500HD. You’ll also appreciate the wide door openings that allow you to comfortably install child seats. If you have a model with a cargo box, you’ll also have a backup-camera. We’re a family owned business that has been serving Chicago Libertyville Illinois for decades now. We know what it takes for a vehicle to be on the top of our list, and this one certainly ranks high on our list of workhorses you should check out this year. If you haven’t been hearing a lot about this one yet, don’t worry! As the upcoming year in cars approaches, this one is sure to make a few “top of” lists on those vehicles that will help you get through even the toughest workday with a faithful vehicle friend on your side. We would love to show you the Silverado 2500HD. You can stop by our lot and ask to take a peak at it or give us a call to learn when it’s first going to roll on our lot. No matter what type of information you need, we’ve got it. As a faithful dealer who is serving Chicago Libertyville Illinois with the finest in all brand new models, we’re here to introduce you to one of the most faithful friends of the work community. If you need to tow or haul, you’re going to want to have this vehicle on your team. Give us a call today and let us put you behind the wheel of this monster. You’ll be impressed with the massive towing capacity, careful handling, and ability to go off road when the time comes. No matter how rough or rugged your work is, this one will go with you wherever you need to go and get you back to your family safe and sound. And don’t forget. Even if you don’t need a vehicle for work, this one is an impressive sight during a casual evening out on the town with your friends, too.